Another noble lady visits the salon today today with the story of Caroline Augusta of Bavaria, a shrewd and charitable sort! 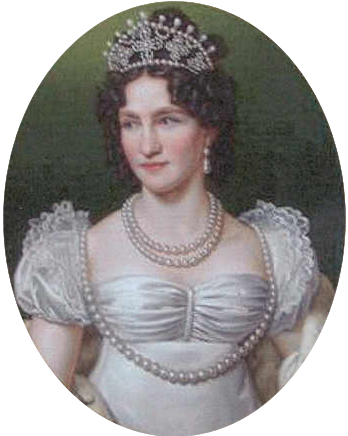 Caroline Augusta was the daughter of Maximilian I Joseph, King of Bavaria and his wife, Augusta Wilhelmine of Hesse-Darmstadt. As a striking and vibrant young woman of an influential house, she was in demand as a dynastic match but was not willing to be a pawn to marriage. 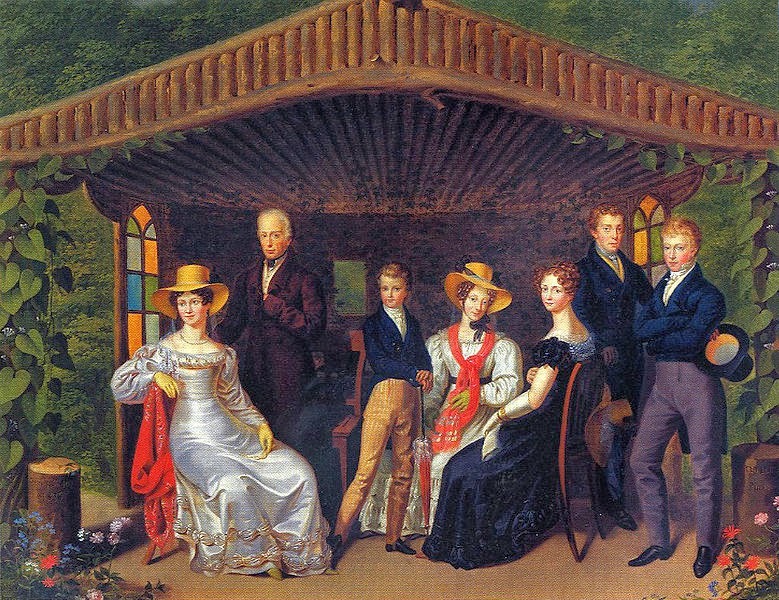 On 8th June 1808 she married Crown Prince William of Württemberg; the marriage was not one of love but was an arrangement of convenience to ensure that she could not be subjected to a marriage brokered by Napoleon. The couple lived apart and were never husband and wife in anything but law, eventually divorcing on 31st August 1814. Caroline Augusta ensured that the marriage was dissolved by Pope Pius VII, ensuring that she would be able to marry again should she wish. In fact, Caroline Augusta remarried just two years later, when she became the wife of Francis I, Emperor of Austria, King of Hungary and Bohemia, having had the choice of the Emperor and his brother, Ferdinand. A well-liked and unassuming woman with a love of philanthropy, she retired to Salzburg when widowed and indulged her charitable interests until her death. Intelligent as well as beautiful! Amazing woman. And, good grief. Can you just imagine the value of the pearls in her portrait......whoo! She is a favourite of mine! Originally she had been named Charlotte Auguste but changed her name with her second marriage. The marrige nin prokura took place on day before she would have become Queen of Württemberg, as her former-father-inl King Friedrich I. died one day after it.